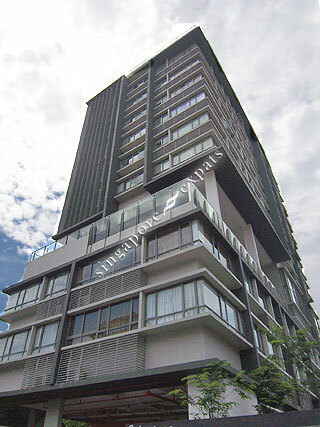 Robertson Edge is a boutique development situated along Tong Watt Road, off Kim Yam Road and Mohamed Sultan Road. It is the epitome of chic city living, located just a short drive from the glitter and glamour of Orchard Road and the Central Business District (CBD). Robertson Edge features an unbeatable location that is near to the scenic Fort Canning Park, the nostalgic conservation shophouses around the neighbourhood, the pulsating Boat Quay, swanky Orchard Road and the hip pubs of Mohamed Sultan Road. Robertson Edge is a stone’s throw from amenities like shops, supermarkets, cafes and restaurants. UE Square Shopping Mall is also within short walking distance. Robertson Edge is within close proximity to the Somerset and Clarke Quay MRT Stations as well as the Central Expressway (CTE). It provides residents convenient and quick access to every corner of Singapore. Ideal for Professionals working in the Central Business District. Chill out by the Singapore River and walk home to your apartment.